The significance of Isserson’s 1940 work Novye formy bor’by (Opyt issledovaniia sovremennykh voin) (New Forms of Combat [An Essay Researching Modern Wars]) for any study of Barbarossa, in particular, and for the development of deep operations, in general, is the author’s clear and penetrating understanding of what the German army achieved in the invasion of Poland and the obvious dangers that operation, and subsequent developments in the French campaign, posed for the Soviet Union. In his introduction, Isserson explains the implications of the “new forms of combat” in his title: “Every time when the development of productive forces creates new technical means, when societal relations and social conditions change, when politics brings forward new aims of struggle both the forms and methods of the conduct of war change.” Isserson then proceeds to explore the theoretical aspects of and problems arising from these new material changes in war, with brief reference to the Spanish Civil War and a more in-depth examination of the German-Polish war in September 1939. From the point of view concerning the perspectives of a large modern war and of the mass use of new means of fighting this conclusion was exceptionally shortsighted. In the general history of wars there are few situations when a new means of waging war has immediately exerted a decisive influence on the character of a struggle since the art and ability to use it does not usually arise at the same time as the appearance of the weapon. This is intended as a warning to Soviet thinkers not to dismiss the mass use of tanks. Isserson’s own views are clearly in the German direction, since he says that tanks were used in Spain in small groups or in isolation, so they were easily knocked out; as a result, the advantages of operational mass in the depths of the enemy’s positions were not achieved. His observation on this matter is indisputable: “Generally, the experience is frequently important not in itself: far more important are the conclusions that can be drawn from it.” Isserson’s basic point is that the war in Spain—or rather the use of tanks there—owed too much to World War I and thus offered no real insights into how tanks could best be used. According to Isserson, one must look to the war in Poland to see what is really possible. Isserson’s analysis of the German-Polish war is often eerily prescient with regard to what happened to the Soviet Union in 1941. Thus, he warns that because the German-Polish war was over so quickly—though he rather conveniently fails to mention the Soviet Union’s role in the downfall of the Polish state—it can tell us nothing about how a war between two equal states or an all-embracing war—total war—would progress. Isserson’s analysis concentrates on five factors: (1) the move leading to war; (2) the conditions giving rise to a war of maneuver; (3) the operational deployment and potential of modern means of war, particularly airpower and motorized-mechanized troops; (4) the development of maneuver in the war, up to attaining a decisive outcome; and (5) the means of conducting operations. In the course of all these proceedings, the old tradition, according to which it is necessary to deliver a warning, before one launches any blow, is dispensed with. In general there is no declaration of war. The war is merely started by armed forces which have been deployed in advance. Mobilization and the concentration of forces do not relate to the period after the onset of a state of war, as was the case in 1914, but are conducted imperceptibly and gradually well before. It goes without saying that this cannot be entirely hidden. In varying degrees the scope of the buildup becomes known. However, only one step ever remains from the threat of war to the entry into a war. It gives rise to doubt whether in actual fact a military intervention is being prepared or not or whether it is only a threat. And while one side remains in a state of doubt, the other side which has taken a firm decision to enter into a war, continues the concentration of forces, until, finally, a huge armed force turns out to have been deployed on the border. After this it only remains to give the signal and the war is unleashed in all its force. The German-Polish war began in such a way. It revealed a new method of entry into a modern war and that was, in essence, the main strategic surprise [glavnaia strategicheskaia vnezapnost’] for the Poles. Only the fact that military operations had been opened, finally, resolved the doubts of Polish politicians who, more than anything, by their arrogance, had provoked the war but, who at the same time turned out to be those who were most of all caught unawares. When he turns to the series of errors made by the Polish General Staff, Isserson inadvertently highlights the future failures of Stalin’s regime. If the Polish General Staff was guilty of staggering incomprehension and a fundamentally incorrect assessment of what was happening, resulting in Poland being taken by surprise, what can be said about Stalin and his staff in the period leading up to 22 June 1941? In such a way, Germany’s mobilized readiness and its entry into a war with all the forces immediately designated for this purpose remained unknown to the Polish General Staff. The Poles had not examined the strategic situation. And that meant that at the very least they lost the first phase of the war, and then the entire war. In this regard, for Poland, the war was lost even before it started. The independent use of armored and motorized divisions in order to solve operational tasks in the enemy’s deep zone, way ahead of the front of the all-arms infantry formations for the first time received its practical use in the German-Polish war and immediately imparted a character profoundly different from the military operations of past wars. The theory of this question, as the essence of the new forms of a deep operation, was formulated in the years preceding. This conception stemmed from the very nature of the fast-moving means of war and only required the corresponding organization and exploitation. Such an intimate understanding of the Guderian doctrine suggests that Isserson either read Guderian’s Achtung-Panzer! (1937) or, quite independently of Fuller and Guderian, realized the importance of the mass deployment of armor and mechanized infantry. In any case, and regardless of any familiarity with Guderian’s ideas, Isserson provides an exceptionally clearheaded analysis of German doctrine and what became known after the Polish campaign as Blitzkrieg. Remarkably, for an analysis written by a Soviet military theorist in June 1940, Isserson’s book is largely unencumbered by ideological incantations and deals essentially with the facts as they are known to the author. However, and perhaps not surprisingly, there are no references to or conclusions about the obvious role played by the Soviet-German Non-Aggression Pact in the crushing and dismembering of Poland. Isserson’s study is especially valuable for the student of Barbarossa and Soviet military doctrine because it demonstrates that there were high-quality military analysts in the Soviet Union who had identified the dangers posed by the new German doctrine of high-speed warfare not just for the hapless Poles and the Anglo-French armies but potentially for the Soviet Union. 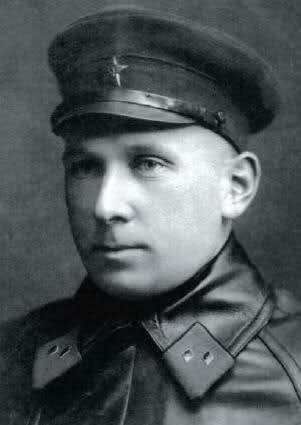 In fact, one might go further and argue that much of Isserson’s book, especially as it concerns the failings of the Polish General Staff, is intended to warn Stalin and the Soviet General Staff—albeit in the form of allegory—of the dangers posed by mass armored attacks, mechanized infantry, and superb ground-to-air cooperation. Isserson’s advocacy of mass armor—echoing the Guderian maxim Klotzen nicht Kleckern! (concentrate, not dissipate)—is especially timely in view of the conclusions being drawn in certain Soviet quarters about the use of armor, which were in complete contrast to German thinking. Perhaps the most wounding part of Isserson’s book, assuming Stalin ever read it, is the warnings about monitoring the buildup of enemy forces on a shared border, especially relevant after the carving up of the Polish state to avoid falling victim to strategicheskaia vnezapnost’ (strategic surprise). This entry was posted in Germany, Soviet by MSW. Bookmark the permalink.